The VLA is located 50 miles west of Socorro on U.S. Highway 60. From U.S. 60, turn South on NM 52, then West on the VLA access road, which is well marked. Signs will point you to the Visitor Center. For more information on visiting the VLA, click here. 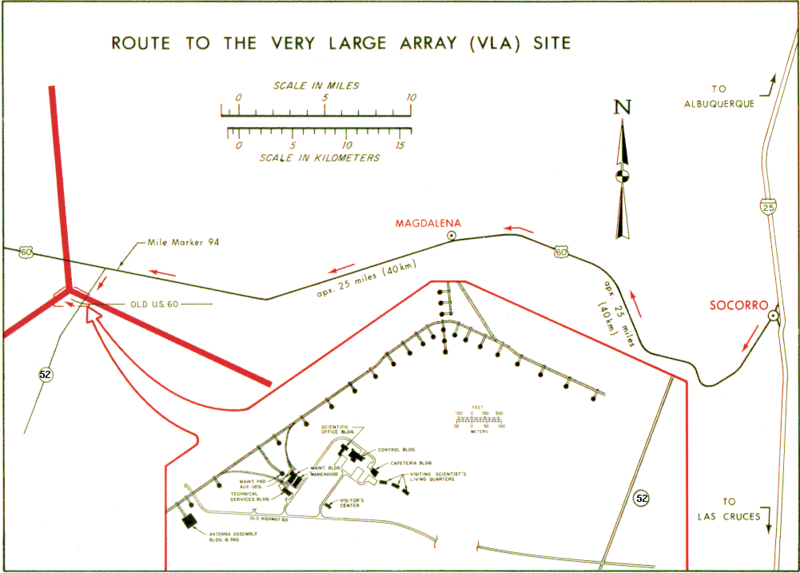 For a more detailed map of the route from Socorro to the VLA, click here.